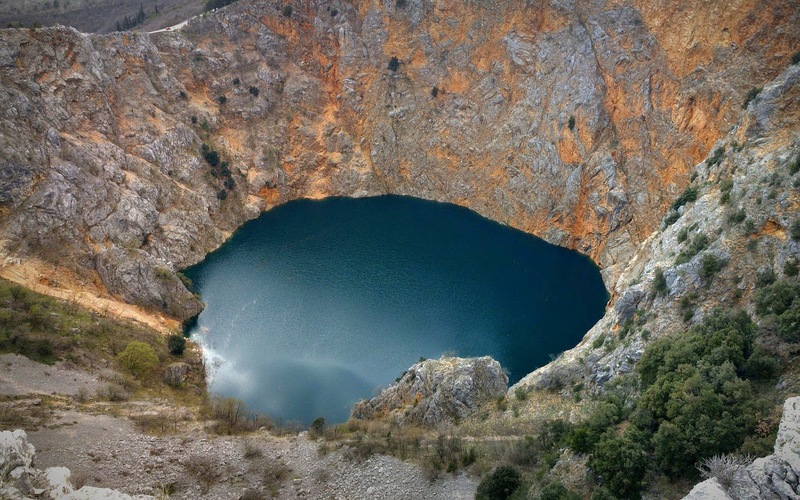 Blue Lake or Modro Jezero or Plavo Jezero, is actually a karst lake situated near Imotski in Southern Croatia. 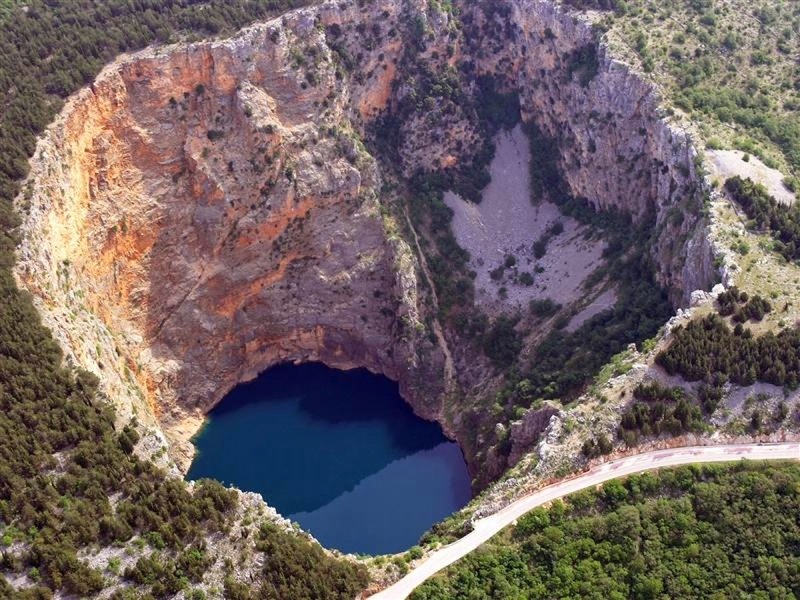 Like the neighboring Red Lake, it lies in a deep sinkhole probably formed by the collapse of a massive underground cave. 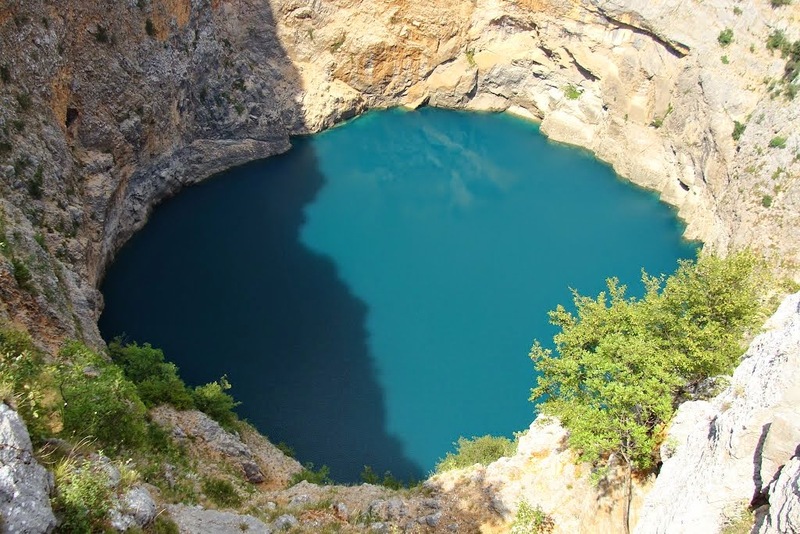 The lake total depth from the upper rim is around 220 meters, though water depth varies with season. 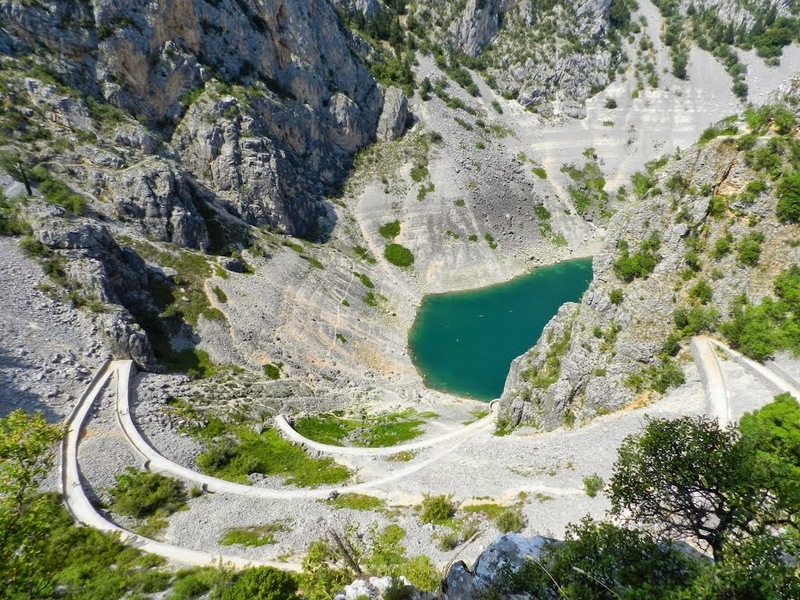 In spring season, when the snow from surrounding mountains melts, it can reach 90 m, and in 1914 it reached 114 m, overflowing the southern rim. 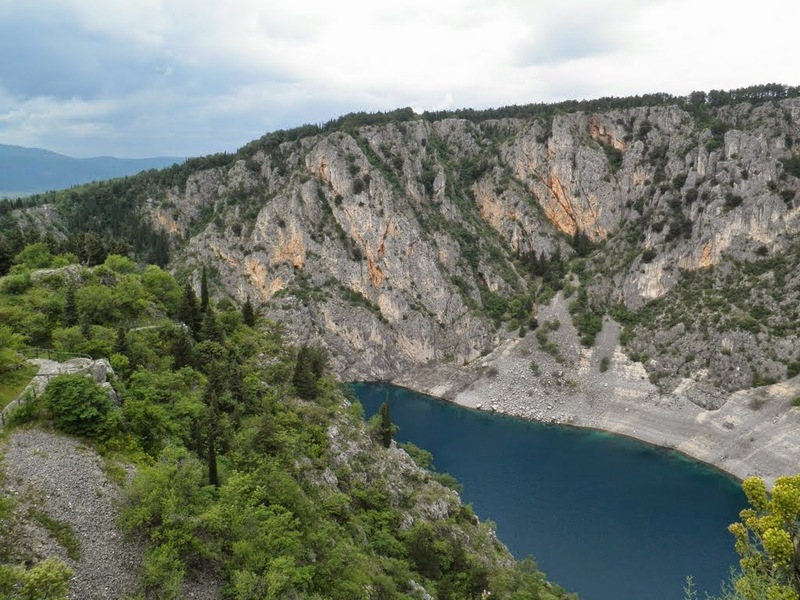 The lake is a widespread destination for hiking and sight-seeing. 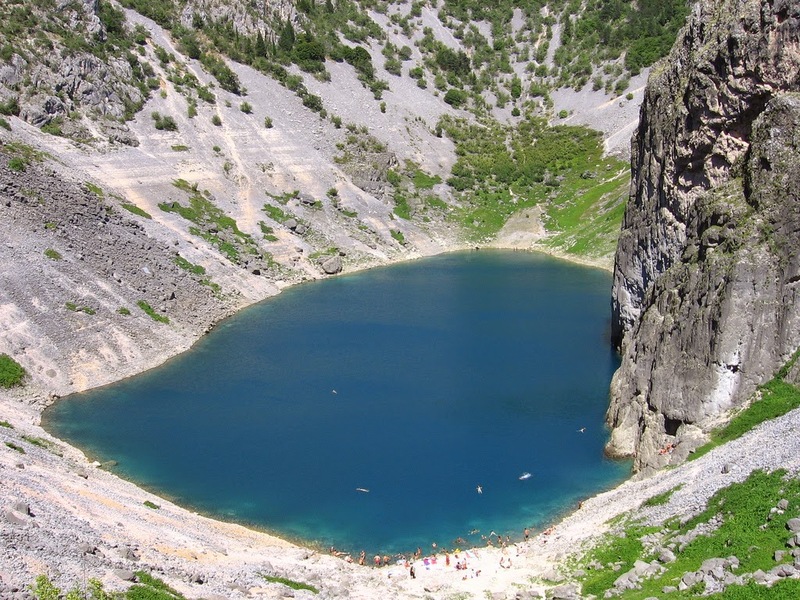 Moreover the maximum dimensions of the lake are around 800×500 m, but they considerably vary due to big changes in the water level, and at the end of the summer the lake may completely disappear. In 1907 a road was built descending to the lake, and in 1942, an earthquake caused a large landfall resulting in reduction of the lake's depth. 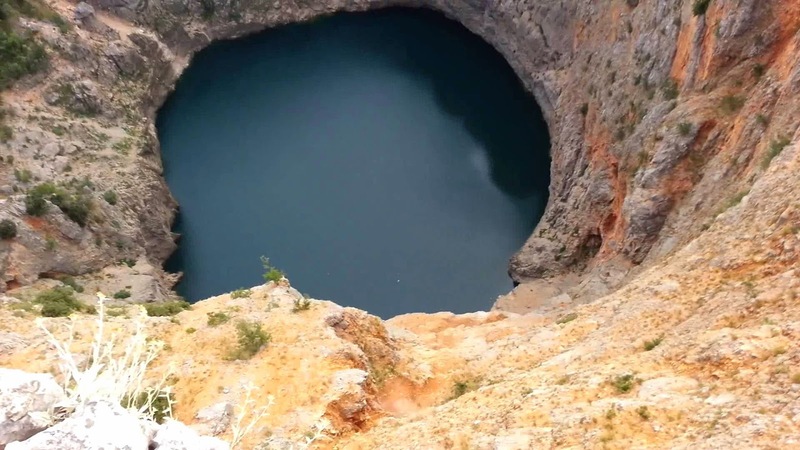 The lake of this sinkhole is easy to access and thus it is popular swimming place. 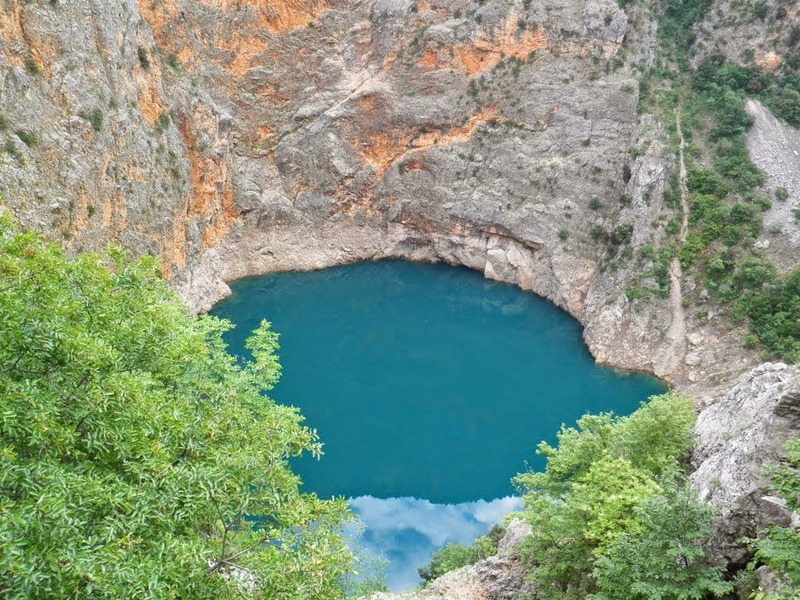 In fact Blue Lake is a big chasm near Imotski, the peoples who likes to take walks to the main vista and back to the town. 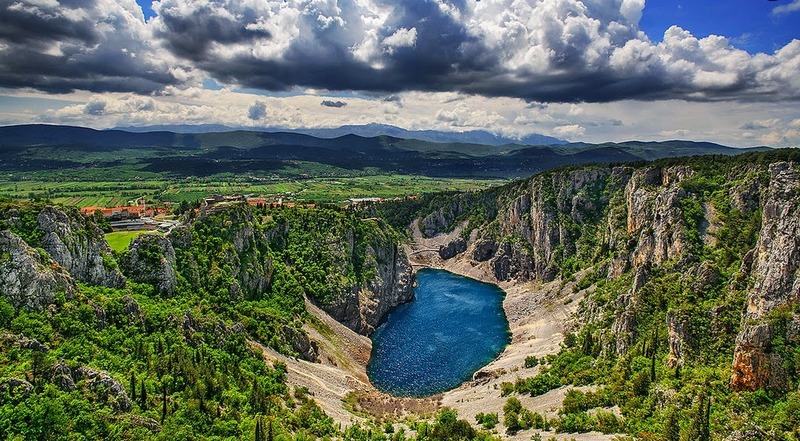 It is very reachable and several man made vistas in the lake offering gorgeous views. 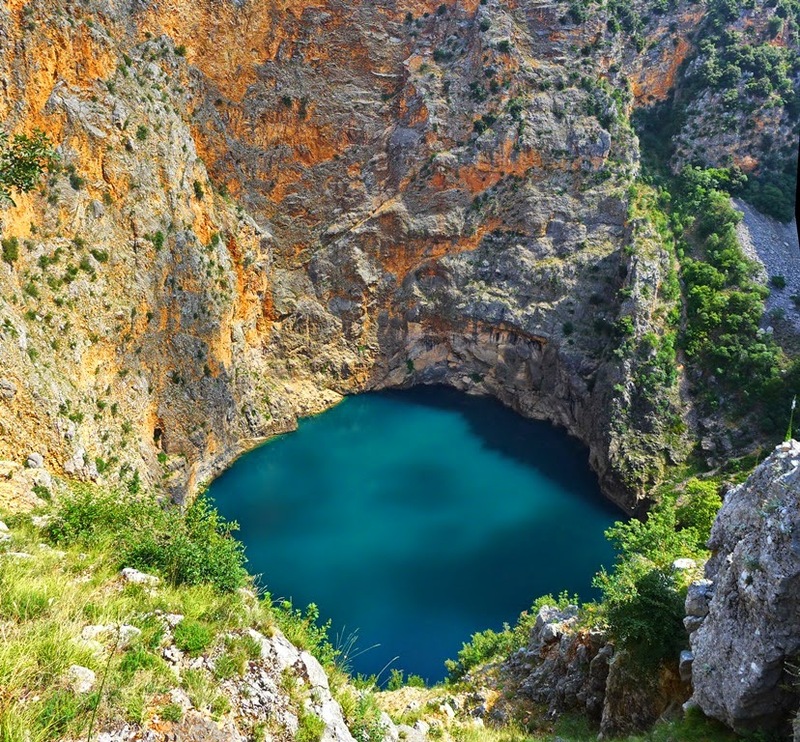 It is highly recommended that you should spend few hours exploring. Lovers tend to spend longer than that amount of time. It is the one of the most frequent reasons for parents scolding their kids who cannot stop exploring it. There’re stone built trails that go almost to the bottom of the lake. They’re very busy during the summer when the young and not so young people go swimming there. The trails were built in year 1907, during the reign of Frantz Joseph. However; they were renovated several times. The last time they were fortified with concrete. They’re in very good shape now, ready to take an onslaught of Towner’s and out of town visitors, mainly the Imotski natives who left Imotski pursuing their carriers. Moreover near the bottom of the lake there’re three plazas that are quite popular with the visitors. 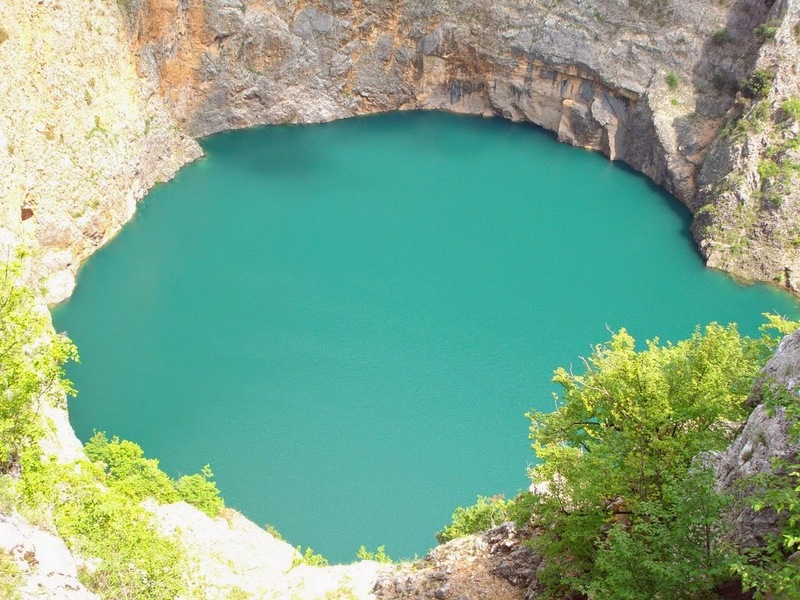 You could hear a popular refrain "Dela, dela skolane moj" around one of the large flat stones where the kids play games.